Today we’re excited to announce a better way to measure your advertising campaign spend and funnel performance: Segment Sources for Facebook Ads and Google Adwords. Traditionally, creating a single report to aggregate spend across Facebook and Google Ads has been incredibly time consuming. You’d have to export data from each network on a weekly or monthly interval, merge it into a single file, and work some pivot table magic. That’s just to understand the basics! What if you also wanted to measure what happens after an ad click-through? That’s pretty tough, because the ad platforms hold half of your data: spend, impressions, clicks. To measure performance they require you to define a “conversion event,” which is—by its very nature—the binary outcome of whether a user took a specific action. Of course, people’s intentions and actions are more nuanced than a binary conversion. Maybe a prospect ends up subscribing to your newsletter, but you were trying to get them to download an asset. Maybe they shared a product with a friend but didn’t buy it right away. Are those people valuable to you? How valuable? What’s the most common path to purchase? The best marketers want to know, and we’re making it easier to find out by combining your top-of-funnel data with the rest of your down-funnel engagement data: app engagement, revenue, sales leads, repeat purchases. Say goodbye to those pesky spreadsheets. Segment Sources for Facebook Ads and Google Adwords pulls data directly from the Facebook Insights and Adwords Reports APIs, schematizes the data, and loads it into your data warehouse (Amazon Redshift or Postgres) with just a few clicks! No .csv shenanigans, futzing around with a bunch of APIs, or iterating on hacky scripts. Using other popular Segment Sources like Stripe, Salesforce, or our libraries for iOS, Android, and web, you can easily tie your ad impressions and costs to in-app behavior, new sales leads, and revenue. With your complete set of customer data, you can take your marketing analytics to a new level. Answer the questions that keep you up at night. 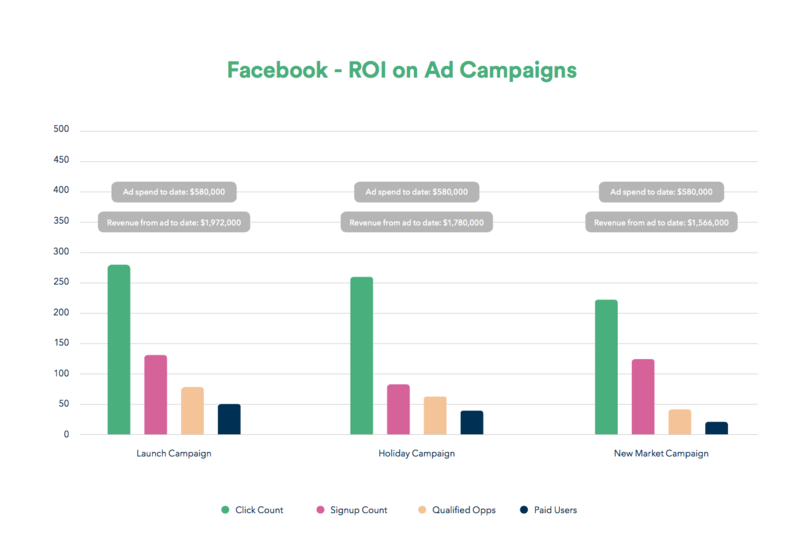 It’s easy to add up your spend across platforms, but Facebook Ads and Google Adwords Sources enable you to ask more—and better—questions about your campaigns, so you can optimize performance. Don’t double count conversions. As you ramp up advertising spend, you’ll want to make sure you’re not over-counting conversions across campaigns and channels. Which platform gets credit for a customer who clicked through a Facebook ad and then later searched for your company on Google? You can decide. With the data from Segment Sources, you can build your own attribution models in SQL, applying first-touch, last-touch, or whatever model you want to your queries. Measure the lifetime value of paid channels. You can take the analysis even further by measuring the lifetime value of customers coming in through each campaign and comparing that to your cost per conversion. You can aggregate repeat purchases, or even tie a user to their revenue in Stripe or Salesforce to prove the efficacy of your campaigns. Combine data sources to understand company-level impact. Lastly, with all of your data in one warehouse, you can get more creative about analyzing the effects of your campaigns on the rest of your company. You may get a lot of new users through a particular SEM campaign, but what if they bury your support team with questions? It could be an an indicator that these users are unqualified, and you might want to stop the campaign. Combine your Zendesk, Intercom or Salesforce data with Facebook Ads and Google Adwords to find out. Dive as deep as you want. We’ve built our Ad Sources to be as granular as possible, pulling data at the ad level, so you’ll get a daily timeseries of your ad performance over time. You can use this data to analyze individual ads, or roll them up to the ad set and campaign level. To combine that with engagement data, you can join your Ad Sources tables to your page tables via UTM parameters (Facebook AdId and Google Click ID). One thing to note is that the counts that Facebook Ads and Google Adwords report on clicks are a little bit different from the page and screen counts you’ll see coming in via our collection libraries. This doc dives into how to think about these numbers. The new sources empower marketing teams like yours to build analyses that help you optimize ad spend and creative. Instead of running blind, doing a bunch of .csv downloads and uploads, or building your own hacky ETL jobs to pull data from these APIs, you can set up your data pipeline in just a few minutes with Segment. Layer on your favorite BI tool to dive into the long-term engagement of paid users. Then, tweak your campaigns, adjust creative based on what’s actually driving revenue, and improve your returns. Ready to run performance analysis on your Facebook and Google campaigns? Check out our guide to get started!